So, I mentioned a while ago that I was working on a NaNoWriMo novel. Well, I just wanted to let you all know that as of today I am a NaNoWriMo winner! I validated my novel today at 50,181 words. I estimate that I’ve got around 20,00 more words to go before the story is finished. In other exciting news, I have read my 100th book! 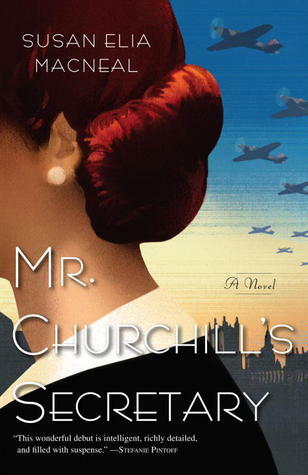 Book #100 was Mr. Churchill’s Secretaryby Susan Elia MacNeal. Review to follow soon. I’m going to continue keeping track until New Year’s Eve and just see how many books I can actually read. Next year’s goal will be to push that outward by ten or so. I should have lots of time over the holidays to both read and work on my novel since I’m going on a long train trip! I’m so excited about this. One of my bestest friends in the whole wide world is from Pennsylvania. She’s invited me to come to her family’s New Year’s Eve festivities and I, being the type of person that I am, have decided to take the train. I’ll be traveling for about 22 hours each way, so I’ll have lots of time to entertain myself and to write. You never know, I might even get all 100 reviews posted before the year is over. The bad news, is that I’m still without a computer. I have ordered one though! I’m not sure when it’ll ship, but I should have it fairly soon. I got it from Woot. If you haven’t been to Woot, it’s really fun. They sell one thing from midnight until they’re sold out. It could be anything from a 60″ tv to water bottles. There’s also ShirtWoot, which has pretty awesome tee shirts; one shirt every day for $12 or you can get the most popular shirts from the Reckoning for $15. 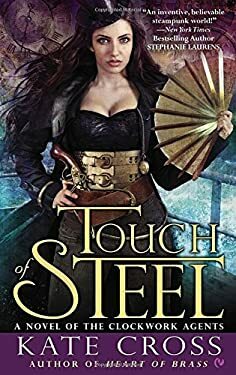 So, just because I know you’re terribly interested, here’s what I’m reading now: Touch of Steel by Kate Cross and I’m listening to What’s a Ghoul to Do by Victoria Laurie. 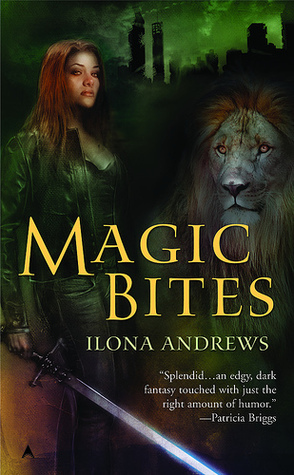 At Mary’s suggestion I just finished Magic Bites by Ilona Andrews. You were right, it’s pretty awesome. I promise to listen to you in the future. I’ll have some more reviews up on Sunday, but I’ve got to scoot for now. My co-worker needs the computer. Really though, the series gets MUCH better, so I’m really glad you liked the first book.